In many of these cases, glass breakage occurred due to a pre-existing damage that expressed itself into a full blown failure in barely an instant. There is precious little research on this subject. How much does a bullet hole weaken the glass? How much more easily will a pane of glass break if an edge is chipped? Nobody really knows. Each year hundreds of people are injured or killed by glass breakage, whether by falling through a sheet of glass, or by having glass fall on them, even while they shower when a glass shower door suddenly shatters. This glass breakage may have occurred in windows, doors or storefronts near where people live, work and walk. In some of these instances, witnesses have reported that a seemingly intact lite of glass seemingly “gave way”, bringing about a dangerous condition. It is well known in the glass industry that the resistance of glass to breakage can be compromised dramatically by the presence of a pre-existing scratch, hole or edge damage. For example, when glass is being cut as a part of the fabrication process, it is not really cut at all. Rather, it is being scored, or scratched to only a very shallow depth, then flexed to apply pressure at the score line. When a scratch is created, the glass readily and cleanly breaks along the line of the scratch. Equally known to those in the glazing industry is the propensity for glass breakage to occur if there is damage at the edge. For this reason, almost universally, rubber setting blocks are placed beneath glass when it is installed. This avoids any chance that the glass edge will come in contact with a harder material that might chip the glass edge, thereby weakening the glass and bringing about glass breakage. 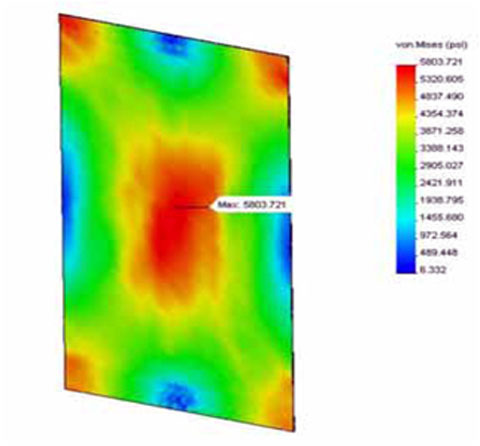 Pressures which may be applied to the glass, whether by wind, impact, human contact or thermal variations, appear to greatly accelerate the propagation of cracks through glass. 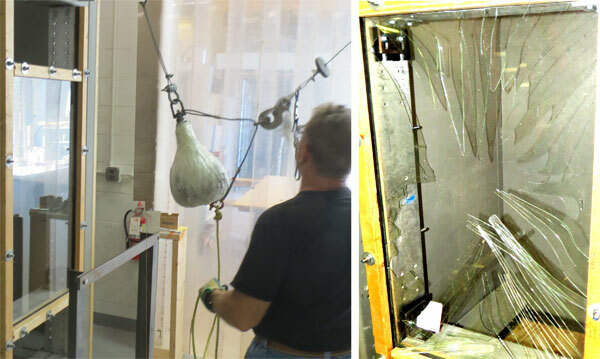 The direction of pressure is important because of tension/compression in the glass under bending. Glass cutting practice involves bending the glass away from the score mark. There may be a difference in breakage behavior if the bending is toward the score mark. 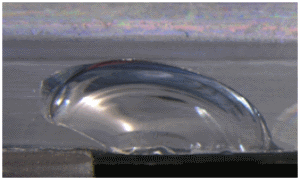 Speed of crack propagation is critical to the understanding of glass breakage and has critical safety implications. 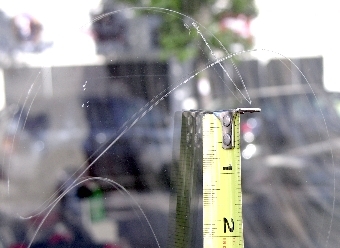 It is anticipated that when cracks propagate through glass, the propagation speed may be found to be quite fast. The dangerous condition is exacerbated by the surprise factor. The victim has little or no time to react as a pane of glass quickly transforms into a chaotic cloud of deadly shards of razor sharp glass. If you, or your client, has been injured by glass breakage and you believe the glass broke too easily, there may be good reason. Please contact me to discuss. We both follow the same route in glass pathology. I am based in the UK and travel extensively due to the lack of experts in the field of fenestration. Having read your note, it is refreshing to see others that recognize the limits of glass and the impacts that can cause failure. It is not just a pane of glass but much much more as it is now being used as an engineering component in buildings which bring a whole new set of issues. Would like to set up an exchange of ideas etc. Thanks a lot for your comments on the website and at Linked-In. It’s always good to find kindred spirits. Mark, I have some photos and video that you are welcome to use. One is my witness interview after a car window spontaneously exploded in a grocery store parking lot due to being bedded against debris from a prior piece of glass a few days earlier. The witness is a drunk bum and his description of the event is priceless. There are also some really scary glass situations currently in use in our area that might be of interest to you. Contact me privately sometime and I’ll be happy to discuss. I can’t sponsor as I have nothing to do with the industry. and cut my jugular vein (I had about 2min left to live). Artist looking for old wood windows for new artwork. Contact Mark Meshulam if you have old wood windows to give away.